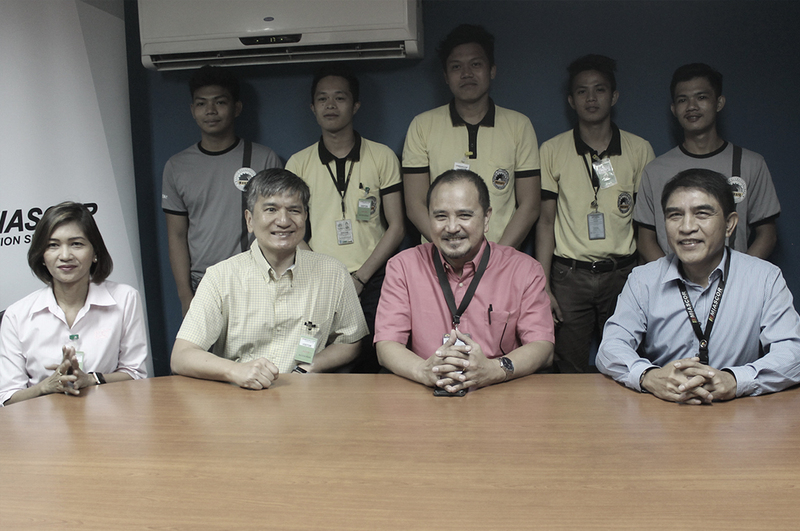 Industry-based training for scholars of MFI — Citadel Pacific Ltd.
MIASCOR, the largest aviation services company in the Philippines, has partnered with Monark Foundation Institute (MFI) to provide in-plant training to their deserving scholars who wish to have a career as Aviation Ground Support Equipment (AGSE) Maintenance Mechanic/Operator. The partnership falls under the Dual Training System (DTS) of MFI in their program, “Heavy Equipment Servicing”. DTS is a training modality that combines theoretical and practical training wherein the school and workplace share the responsibility of providing scholars with well-coordinated learning experiences and opportunities. MFI is a DTS- accredited educational institution that conducts a TESDA-registered program on Heavy Equipment Servicing NC II. The Heavy Equipment Servicing NC II course administered by MIASCOR and MFI started last September 4, 2017 and ends on January 15, 2018. It will run for a total of 2,700 hours with 1,040 hours spent on school training where scholars learn basic trade theory, work values, good citizenship, safety, and related theory subjects in mathematics, drawing and social sciences; and 1,580 hours on in-plant training where they learn job skills through practical exercises, actual maintenance activities on site and develop good work habits.